Before He Destroys Your Great Nation Like Obama Devastated The USA. Canada, WAKE UP before it’s too late! You have unknowingly elected a “Barack Obama” to lead your traditionally peace-loving country. In reality, Obama was a barbaric, warmongering Neocon stooge through and through. In other words, Obama was actually a wolf in sheep’s clothing, who proved it from the very start of his first term. Similarly, Justin Trudeau is now being used to polish Canada’s war-making credentials. He was quite purposefully installed into the prime minister position to put a smiley face on the Neocon agenda of war and refugee displacement, which is just what he has done. 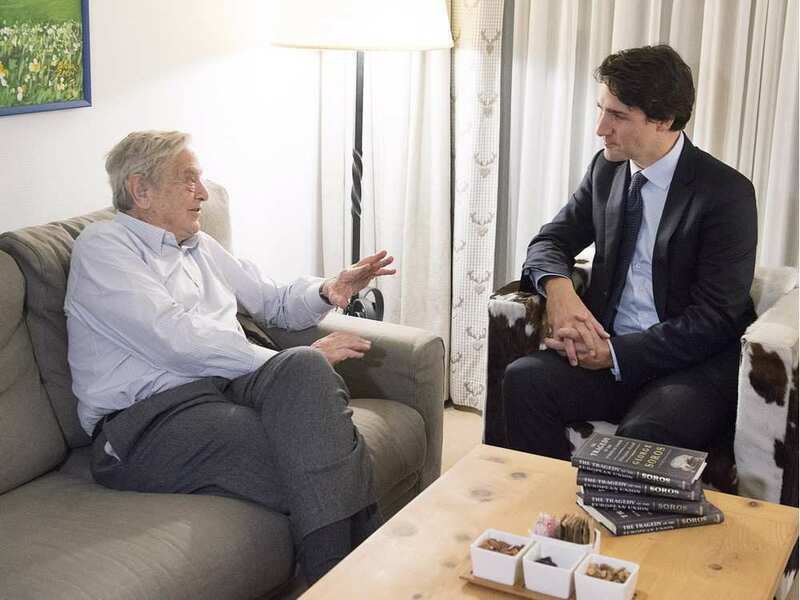 First, it is critical to understand that the hidden power-brokers, who always decide the outcome of Canada’s major elections, used the same playbook and type of player as they did with Obama in 2008. It worked so well for them that they executed the same game plan for Trudeau’s victory in 2015. Way too young at 43, and with very little experience under his belt just like Obama (he was 44) started out as a community organizer, Trudeau’s true masters knew that they could use him any way they wanted to. And so they have. His handlers knew that a former teacher and youth advocate would be putty in their hands just as he has proven to be at every turn of political events since his highly lauded election (just like Obama’s). Tall and lean, eloquent and charming just like Obama, Trudeau was set up to capture the hearts of Canadian women everywhere. Which he did with great ease and panache. Always ready to show off his physical strength and body contours like Obama did, his controllers knew that the women’s vote would dictate the election outcome in 2015. Which they did, just like Obama’s first selection. 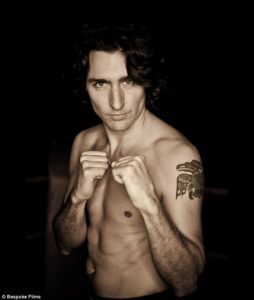 Essentially, the nation of Canada was conned into voting for a smooth-talking pretty boy who has absolutely NO business anywhere near Ottawa. Just like Obama, he lacked any of the life experience, skill set, knowledge base, etc. necessary to avoid being used by his secret yet very wily overlords. To this very day, Justin Trudeau has not a clue as to who he really answers to. Where does Canada go from here? 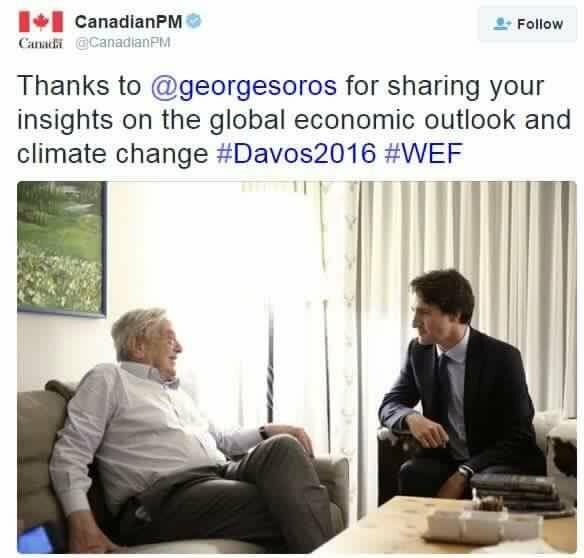 There is no question that with the government takeover by George Soros, Canada is in HUGE trouble. All any Canadian has to do is look at the 8 years of wreck and ruin that Obama brought to the USA. Now well known as a total and complete Obamanation, Donald Trump was purposefully elected to take his wrecking ball to such an ongoing national disaster. And a vast majority of American’s cannot wait to see the whole Soros-funded fabrication fall into its own footprint. Which is precisely why the U.S. electorate defeated Hillary Clinton, another bought-and-paid-for Soros puppet. It is imperative for Canadians — both liberal and conservative, from the Left and the Right — to quickly come to their senses. The world is way too deep into an 8 year economic depression for Canada to be further led astray like Obama did to America. Please make yourselves aware of the irreparable damage that Obama, Clinton, Biden, Pelosi, Reid, Kerry, and many other Soros pawns inflicted on your southern neighbor. The truth be told, President Trump will spend the next 4 years repairing so much of what Soros did to American society and government. This special warning is being strongly issued to all of our Canadian brothers and sisters because we have witnessed and felt the profound tearing of the social fabric that Soros perpetrated through Obama’s fraudulent presidency. The extremely unfortunate result of those 8 catastrophic years is that much of the destruction will never be fixed. Even Trump cannot be successful with bridging the divisions sewn by the criminally insane psychopath Soros. If there is one very unsettling political development in Canada in 2017 which ought to give the Canadian people reason to be extremely alarmed, it is the recent firing of Stephane Dion and appointment of dyed-in-the-wool Neocon warmonger Chrystia Freeland as Canada’s Minister of Foreign Affairs. Truly, it does not get any more serious than this calamitous and outright infiltration of Trudeau’s inner circle by the Neocon globalists. If you folks up north do not heed these words, and respond with immediate action, you will likely suffer an even greater fate than the United States did. You see, yours is a much smaller country that is very easily manipulated. As very trusting and good-hearted Canadians are, the Neocon ruling cabal knows exactly how to manipulate you. No, they don’t need to corral the entire electorate into a warmongering posture; rather, just enough voters to capture the PM position and key spots in Parliament. The cabal doesn’t care which party dominates the Canadian Parliament as all they are required to do to implement their nefarious agenda unimpeded is control key politicians who are paid and favored, bribed and blackmailed to do their bidding. With this crucial understanding, it is now essential to realize that barbarians like Soros are not at the gate, they have been operating inside the gate for decades. Also, please be aware that the preceding Harper Administration was also used to create an upcoming national disaster just like President George W. Bush set up the Obama victory. Harper became such a tool for the destruction of Canada’s image worldwide, that the people simply wanted to be rid of him yesterday, even though they replaced him with a kid who could barely function at the level of a high-school president. We certainly hope so, because if you don’t wise up very quickly as a nation, it will soon be too late. A real Canadian cataclysm is literally shaping up by the day. The Neocons have made it clear in the wake of Donald Trump’s victory that they fully intend to set up shop in Canada. This is what they always do; when they are shut out of any particular government they simply segue to another vulnerable country. The USA is now off limits for their warmongering, so the globalists will use Canada under the pushover Trudeau. Of course, Russia, as always, is the target of their war-making schemes. Which is precisely why your new foreign minister — Chrystia Freeland — has ancestry (her mother) from the Ukraine. Surely, in light of the dystopian, post-apocalyptic wasteland that the Northern Levant has become, the specter of Canadian warmongering is very sobering. Do the Canadian people really want anything to do with such an ongoing genocide?! Parliament must be made aware of this stealthy plot to use Canada’s armed forces to advance Neocon conquest. No nation in 2017 should provide the military might and treasure for such a destructive and imperialistic enterprise. For those uninitiated in the realm of the World Shadow Government, please read the following exposé on acknowledged international criminal George Soros. Your national identity and social order, economic stability and financial security all greatly depend upon it. What wasn’t mentioned in the article above was the fact that Barack Hussein Obama was literally sculpted as a Manchurian Candidate throughout the course of his entire lifetime. All of the evidence exists in the public domain, including his failure to ever release his original birth certificate and posting of a forged COLB copy instead. 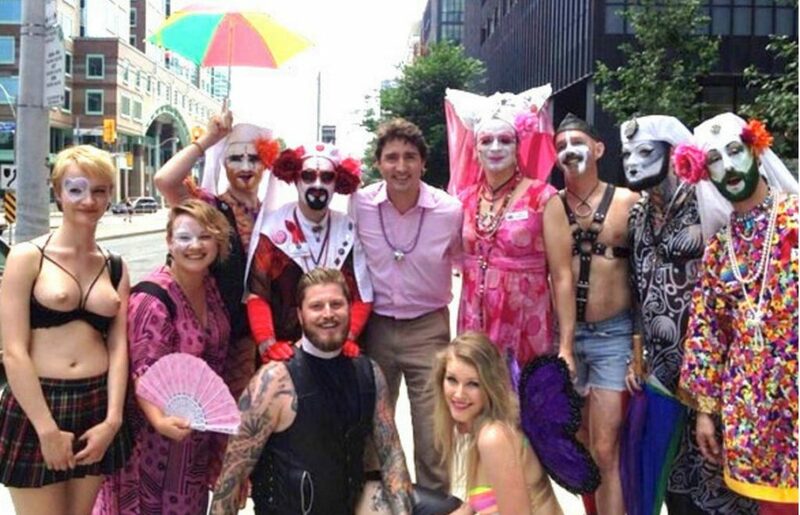 The vital point here is that there is a great likelihood that Justin Trudeau is the product of the same type of MKUltra mind-control program that was used to manipulate Obama. The following piece has been presented for those who want to further explore this line of inquiry. 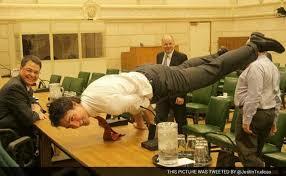 Is Justin Trudeau a Product of Illuminati Mind Control? This kind of depravity is okay with mind-controlled political leaders, just as the recently resigned New Zealand PM once thought (See Cherrygate).